The United States Department of the Treasury’s Financial Crimes Enforcement Network (FinCEN) promulgates and enforces rules designed to prevent and detect money-laundering activities. When thinking of anti-money laundering (AML) requirements, most people automatically think of banks, credit unions, investment firms and other financial institutions whose primary “product” is money. However, AML requirements are not limited to these types of institutions. 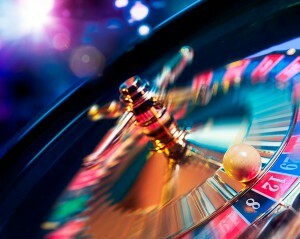 Although some would argue that casinos are primarily in the business of providing entertainment, casinos actually pose a serious risk for money-laundering activities. As such, they are subject to a dizzying array of AML regulations, including the Bank Secrecy Act (BSA) rules. BSA requirements include an obligation to file Currency Transaction Reports (CTRs) and/or Suspicious Activity Reports (SARs) under certain circumstances. While a detailed description of the AML rules for casinos is outside of the scope of this article, high-level information is provided below under Compliance Program Requirement. Additional guidance for casinos is available on FinCEN’s website. The risk to casinos is not limited to those in the Las Vegas area either; FinCEN has seen an increase in AML activity at state-licensed casinos, tribal casinos and card clubs. The focus of AML laws is two-fold: to aid FinCEN in its goal of preventing money-laundering activities and to detect such activities if prevention fails. Casinos and other gaming establishments that fail to take AML requirements seriously can expect enforcement action. FinCEN works closely with the IRS to conduct examinations of casinos. FinCEN has broad authority to enforce AML rules, a fact the casino industry was reminded of in two recent enforcement actions. In April 2016, FinCEN announced an enforcement action against Nevada’s Sparks Nugget, Inc. (Sparks Nugget), including a $1 million fine, for willful disregard of AML laws. FinCEN’s investigation found Sparks Nugget guilty of hundreds of record-keeping violations and noted that the casino disregarded its internal compliance officer and chose not to file CTRs or SARs. In addition, Sparks Nugget did not allow its compliance officer to interact with BSA auditors. While Sparks Nugget had a compliance program on paper, including a SAR committee, the committee itself had never convened; indeed, some managers appointed to the committee did not even know of their appointments. The enforcement action noted that, while Sparks Nugget had access to detailed information about its patrons electronically, it failed to use that information for AML purposes. 2. Hawaiian Gardens Casino, Inc. In July 2016, another enforcement action was announced, this time targeting California’s Hawaiian Gardens casino (The Gardens), with a monetary fine of $2.8 million. In this action, FinCEN found that The Gardens didn’t have an effective AML compliance program, didn’t maintain all required records and failed to file some SARs. In addition, although an independent consultant identified deficiencies in 2013, The Gardens failed to address them. As with Sparks Nugget, FinCEN noted that The Gardens had access to certain information through its players club, but it failed to use that information to identify patrons in many of the SARs actually filed. IRS examiners also found that certain employees of The Gardens were helping customers structure transactions to avoid CTR or SAR filing requirements. In addition to the financial penalty, The Gardens agreed to other requirements, including periodic independent reviews designed to ensure future compliance. As these two enforcement actions illustrate, gaming establishments are not immune, nor are they exempt from, AML rules. In addition to the authority to enforce BSA requirements, FinCEN also has broad authority to impose civil penalties against gaming establishments that violate the law. FinCEN can also hold officers, directors, partners and employees responsible in their individual capacity; besides monetary fines, they may be barred from working in the gaming industry. Casinos and other gaming establishments should evaluate their existing compliance program’s effectiveness. Is player’s club data being used to its full advantage for AML purposes, in addition to business purposes? Ongoing employee training is a critical component of an effective AML program. Conduct internal audits of CTR and SAR filings. If procedural deficiencies are noted, adjust policies and procedures, and train staff appropriately. Casinos should consider participating in FinCEN’s rule 314(b) program, which allows financial institutions, including casinos, to share customer information with each other for AML purposes to help better identify potential criminal activity. To learn more, casinos can view FinCEN’s guidance for casinos here.